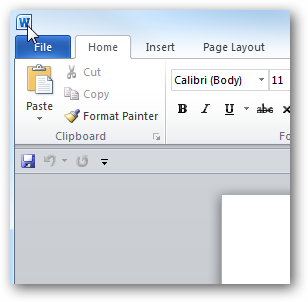 When you want to close an application window you “x” out of it or close it from the Taskbar right? What you may not know is, you can also close out of an application double clicking the icon on the left of an app window. 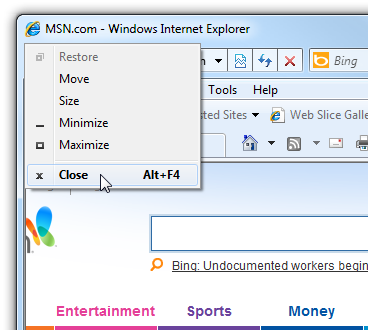 Here we have Internet Explorer 8 open, and all we need to do to close it is double-click on the left corner icon. You’ll also notice that if you single right or left-click an application icon once, it displays a menu that allows you to choose the behavior of the Window as well. Of course Keyboard Ninjas already know about Alt+F4 to close an app window…right? Make sure you’re clicking on the application icon because if the pointer is off it by a bit, double-clicking will minimize or maximize it instead. 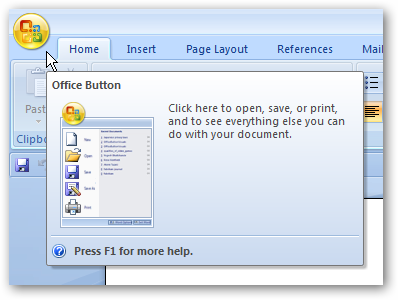 In Office 2007 you can double-click the Office button and it will close out of the app too. If you have a message dialog that appears, you can right-click the upper right hand corner and select Close to get out of it. Aren’t you happy to now know these obscure and worthless facts about Windows navigation! ?